(Dec, 2009) Sad news has reached us that Racing Historian Jim "Cemetery Jim" Murrow has passed. Many of you have enjoyed reading Jim's featured column "Grease" here in The Vault and fans of the column had noticed that Jim had not offered a new addition recently. Jim had been been battling an illness for many months. We appreciate the excitement that each of Jim's columns capture, and we will always remember Jim as a racer, a historian, and a communicator of those things that we'll never stop enjoying. Our condolences go out to Jim's wife Brenda, and to the friends and family of Jim "Cemetery Jim" Murrow. (Nov - 2009) Sad news has reached us of the passing of George Ault. 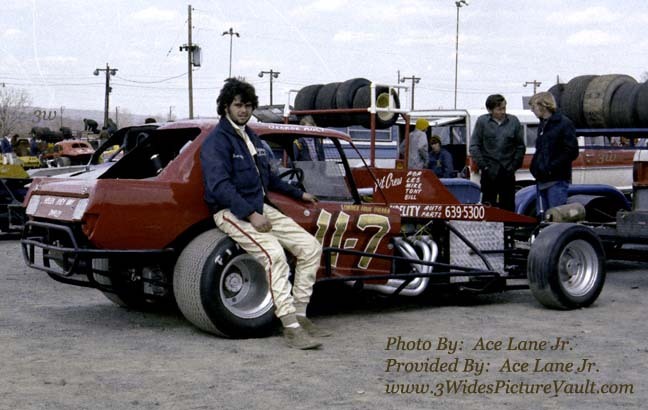 A multi-time Sportsman Feature winner and a strong modified racer, George competed at Flemington and at East Windsor during the 70's in his #11-7 racecars. A good independent racer who will always be remembered as having a big part of our favorite show... He will be missed by those of us here in The Vault. We'll alway's remember George's racers with the little Snoopy cartoons and sayings. Our condolences to the family of George Ault. 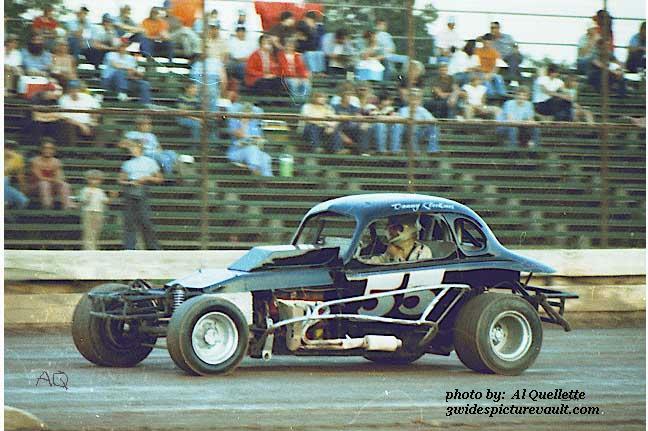 Danny Klockner #55 on the frontstretch at East Windsor Speedway in this Al Quellette photo from the 70's. Donations may be made to the Deborah Heart and Lung Center Pediatric Department. Donations may be made on line at www.deborahfoundation.org and click on "In memory of". (09/21/09) From John H Duffy: "I have sad news to report, my uncle Joe Duffy who was owner of the #57 that ran at Alcyon, Flemington, Wall as well as the 1959, '60 and '61 Daytona Sportsman "Grand National" passed away yesterday at the age of 82 in Wallimgford, PA. Vince Conrad was his main driver." The driver is Vince Conrad (far right) . From left to right in the photo it is John Duffy, unsure, then Joe Duffy, and Vince Conrad with the trophy. They ran the 57 mainly at Alcyon, Flemington, Wall as well as the 1959, '60 and '61 Daytona Sportsman "Grand National". 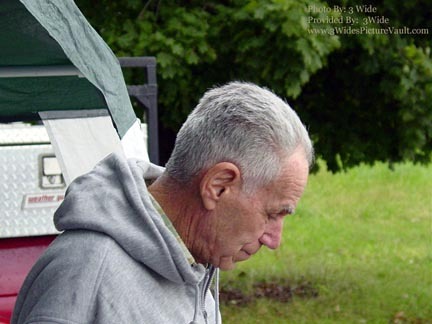 (9/16/09) Sad news has reached us that Pat Wohlgemuth Sr. has passed. Pat (pictured above in this 1960's Ace Lane Sr. photos), drove the #168 for many years at Flemington and other local speedways. Our condolences go out to the Wohlgemuth Family. JJohn Romano passed away on Monday, September 7th after complications from his illness. He will be missed by all of those who were fortunate to have met this young man. Our condolences go out to John's Family. John F. Romano, 31, of New Egypt, passed away Monday, Sept. 7, 2009 at the University of Maryland, Medical Center. Born in Staten Island, NY, he was a graduate of Monroe High School and later attended Brookdale Community College. He was employed as a Shop Manager at East Coast Supercharging in Cream Ridge. John was a loving husband and father who enjoyed engine building and was very active in the racing community. John started his racing career in 1996 where he raced in the Sportsman Rookie Class at Bridgeport Speedway. From 1997 to 2002 he raced in the Sportsman Division at East Windsor Speedway. 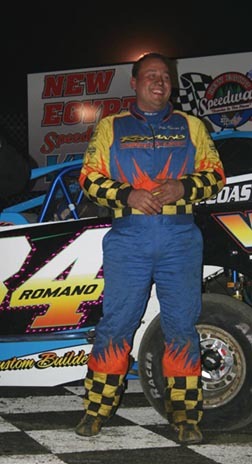 From 2002 to 2008 he raced at New Egypt Speedway where he spent a short time in the Modified Division, but mainly raced in Sportsman Division and SS Sprint Division and in 2009 he raced in the SS Sprint Division at various tracks in Pennsylvania. He is survived by his loving wife, Kristine; his son, John Matthew; his mother, Inez Romano; his father, John Romano; two sisters, Danielle Cook and Donna Spatola; three brothers-in-law, Shawn Cook, Paul Spatola and Frank Previti; mother-in-law, Suzanne Previti; father-in-law, Frank Previti; nieces and nephews, Brandi, Haley and Zachery Cook and Victoria, Kayla and Daniel Previti; as well as many aunts, uncles, and cousins. In lieu of flowers memorial contributions may be made to John Matthew Romano, c/o Kristine Romano P.O. Box 152, New Egypt, NJ 08533-0152 for a fund to be set up for John's children. 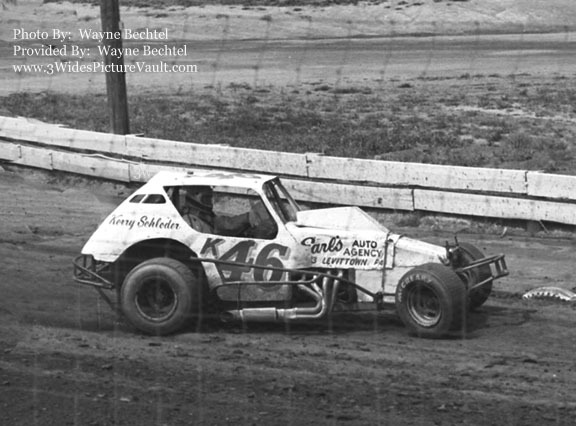 Prior to moving to Massachusetts, Joe had been involved in local short track racing for many years locally in PA/NJ/NY. Joe's whole family is part of the racing community and he is the father of racer Jason Kosch. Joe will be missed by his many friends and by the visitors of our site. Our condolences go out to the family of Joe Kosch. John "Pop Pop" Dicken, age 70 died this morning at Einstein Medical Center in Philadelphia Pa. John was Born January 6, 1939, died July 27, 2009. John is the father of ARCA REMAX Series car owner Jennifer Belmont. John was a member of the Andy Belmont Racing pit crew for many racing seasons. He will be buried with his “pit crew of the race” award earned from the Kentucky Speedway in 2001. John Dicken was the current president of the Penndel Fire Company, Engine Company Number 8. John served as a member of the Penndel Fire Company for 54 years. He was honored by Pennsylvania Governor Ed Rendell for his 50 plus years of service. His favorite fire truck was a Hahn Fire truck, unit number 83. John’s Grandson, Andrew Belmont raced car 83 Saturday night in his very first ARCA event at the Berlin Raceway. Thanks to the ARCA live remote on ARCA NATION, John was able to view Andrew racing the 83 car from Berlin. John is survived by his wife of 42 years, Patricia. His children Celeste and husband Jack Idell, Daughter Jennifer and husband Andy Belmont, son Joseph and wife Kimberly Dic ken and Daughter Brandie Dicken. Grandchildren Ryan and Kathryn Idell, Justin Dicken, John Elliott, Jared Dicken, Andrew, Kyle and Brett Belmont. Viewing hours will be from 6PM to 9PM Sunday, August 2 at the Bradley Funeral Home, 2600 Bellevue Avenue, Penndel, PA. and Monday, August 3, from 8:30AM to 9:30AM at the Our Lady of Grace Church, 225 Bellevue Avenue, Penndel, PA. Mass will immediately follow at 10AM. 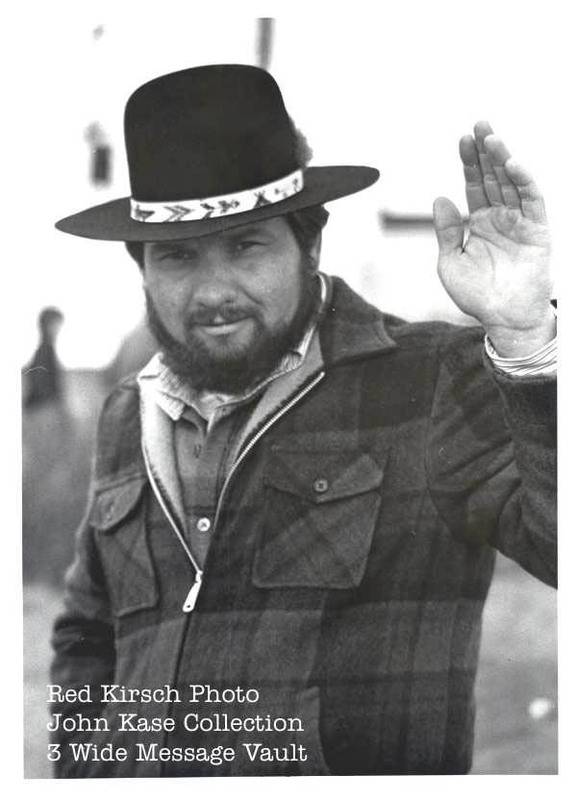 Francis Reynolds passed away June 30 (his pictures are on page 12 of the 50's section) at the age of 83. 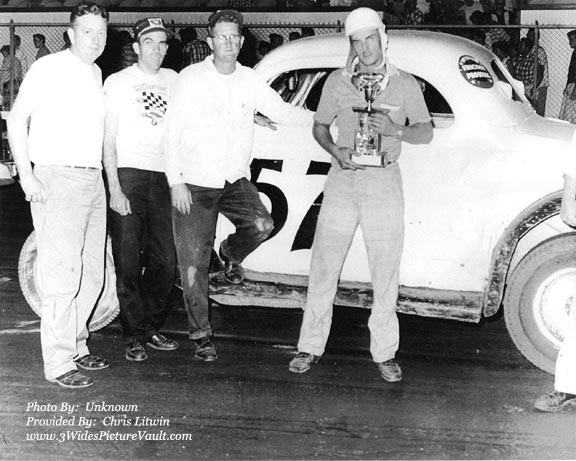 He recorded 1 win at Hightstown Speedway as a driver and fielded cars in the 50's & 60's for drivers Clint Brown, Ed Prior and Joe Seip. Funeral Services are set for Monday July 7 at Princeton Memorial Park in Robbinsville NJ. Just got word that my Uncle Bill Berry who ran modifieds at Wall stadium and Old Bridge in the 50's and 60's passed away Friday evening in California. He was 82. Racing photographer Charlie Moore, whose photos from Trenton, Langhorne, Flemington, Indy, etc have been featured in AARN, Racing Pictorials, Programs, etc, passed away on Sunday, June 14th. Our condolences to The Moore Family. The IRCO Dirt Track Heroes event is far more then just your typical car show at the Mall, and Saturday afternoon was proof of that. Several of the most popular drivers in modified stock car racing gathered at the Phillipsburg Mall to meet friends, remember fond stories and salute the start of the 2009 short track racing season in the Northeast. The Everett Express Gerald Chamberlain, a winner at Reading, Flemington, Nazareth, Bridgeport, East Windsor, Orange County, Hagerstown and almost every track where he took a green flag, was the star of the day. Joined by popular local favorite Glenn Fitzcharles of Pottstown, PA, these two drivers entertained many as they told stories from their colorful racing past. 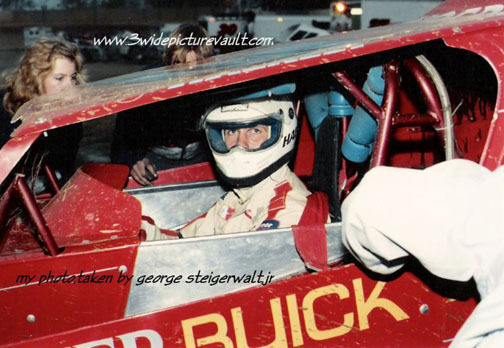 Just to add some more variety, drivers like Frankie Schneider, Bobby Pickell, Tom Hager and Gary Gollub had a story or two of their own to share. With eight days of this event now history, more then two-hundred and thirty racing celebrities were interviewed. On Saturday, even Frankie Schneider gave a shout of "Hello" over the microphone. Schneider, who in his day did all his talking with a heavy foot on the gas, today remains the model icon of a true dirt track hero and cannot be challenged for that title. On Sunday, the IRCO Dirt Track Heroes Car Show will officially close for 2009. The Phillipsburg Mall Management and event organizer Bob Miller will confirm the date of the 2010 event shortly. The show will return by popular demand. opportunity to rekindle their love for local racing dirt track style," commented Collins. The Phillipsburg Mall is located on Route 22 East in Phillipsburg, New Jersey. Mall hours on Sunday are from 11 AM to 6 PM. An event t-shirt and program book is available for this event and they are being sold at the center court stage area. The IRCO Community Federal Credit Union is again the proud sponsor of this event. For more information on what they have to offer, please visit their website at www.ircocu.com or contact Greg Collins directly at gcollins@ircocu.com. IRCO DIRT TRACK HEROES CAR SHOW SET FOR FINAL TWO DAYS. . . . . . . . . The 2nd Annual IRCO Dirt Track Heroes Car Show produced another successful night on Friday evening as the current stars from the Bridgeport Speedway and past legends from the Harmony Speedway joined together for a look at racing past and present. The evening augmented the central idea and focus behind this successful venture of honoring all of our dirt track heroes. The Friday night show opened at 6:30 PM as hosts Ed and Steve Pados talked of the importance of having these type of events as it gives the drivers who may have been overlooked when they were driving at a weekly speedway, their opportunity to be recognized with a show dedicated to their exploits on the raceway. Twenty-four drivers were on hand for the interviews and an all-star line-up of announcers headed up Ed and Steve Pados, veteran Bob Stull and Thunder on the Hill/Bridgeport Speedway Announcer Jeff Ahlum took turns at the mike in interviewing the tremendous talent on hand for the event. Bridgeport Speedway stars on hand included current Modified Star and racing legend in his own right Jimmy Horton. Horton was on hand to chat about his plans for the new season and is looking forward to a great season in 2009. Former Bridgeport Rookie Champion Mike Mammana was on hand to talk about his high expectations for the new season ahead and his association with racing great Tom Hager. Frank Dorry, Ryan Watt, Larry Lippincott, Rusty Smith, Archie Myers and Eric Kormann were among the drivers interviewed. 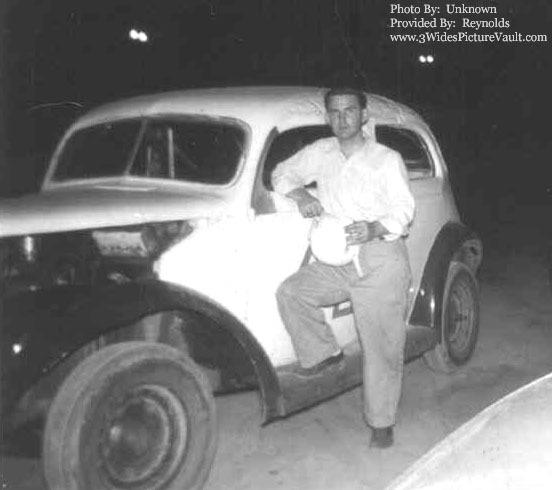 Harmony Speedway countered with the legendary "Belvidere Bandit" himself Carl "Fuzzy' Van Horn and top names such as Jim Wismer Sr, AJ Seiple, Joe Poliacik, Wyatt Jacobus, Kenny Kutzman, Bing Metz, and Glen Ehrhardt. Mark Manieri Jr and Tex Snyder were on hand from the open wheel ranks and Ryan and David Polenz headed up the pavement contingent. Doug Borger was on hand to talk about the aggressive schedule his 600 X-Cel Modifieds have this season and noted he is working on his 79th race car at the current time. As the seventh day of the show concluded, 217 interviews have now been given indicating the strong support of this show from the racing community. The event team encourages everyone to come out for the last two days of the show and enjoy meeting with the stars of the sport whether they be past or present and have some good old-fashioned fun with these great drivers. The stars are here and the cost is free. Saturday is Flemington Speedway and ARDC day at the Mall. The "Everett Express" Gerald Chamberlain, Glen Fitzcharles, Ken Brenn Jr and Red Coffin will all be attending the IRCO Dirt Track Heroes event on Saturday and will be joined by many of the stars who were responsible for the success of the famed Square. Drivers Andrew Hannula, Stephanie Stevens, Nick Wean, Zach Martini and Justin Grosz are expected to represent the ARDC along with Announcer/Media Man Mark Kielblock. Event organizer Bob Miller spoke directly with Chamberlain and Fitzcharles to confirm their planned attendance. "Since attending the Reading Show a few weeks back, Gerald seems even more excited about returning to meet his many fans and friends from New Jersey, " commented Miller. The interview portion of the show will begin at 2:30 PM. Event hosts Ed and Steve Pados announced that due to the successful airing of their Sunday afternoon taped show that was broadcast last Monday night, they would again tape the final segment of the IRCO Dirt Track Heroes Show this coming Sunday, March 15th for a Monday night broadcast. Pados also announced the June 1st CARQUEST Gasoline Alley Show will be a direct tie in with the June 2nd Thunder on the Hill visit from the stars of the USAC Sprint Car Division. Cole Whitt, Dave Darland, Chad Boat and Chris Windom are expected to take part in the show along with Thunder on the Hill Co-Promoter Bob Miller. The Thunder on the Hill Racing Series is presented by NAPA Auto Parts and Lee Myles Transmissions and takes place at the Grandview Speedway in Bechtelsville, PA. Thunder on the Hill is a mid-week racing series, enjoying its twentieth year in 2009 and Co-Promoted by Track Owner Bruce Rogers and Special Events Promoter Bob Miller. Visit the Thunder website at: www.thunderonthehillracingseries.com. Show organizers Bob and Donna Miller along with the Management of the Phillipsburg Mall continue to be impressed with the strong support the racing community has for this event. With 97 race cars from all divisions lining the Phillipsburg Mall, the 2nd Annual IRCO Dirt Track Heroes Car Show continues until Sunday, March 15th,when the show will close with a salute to the Nazareth Speedway and all of the Dirt Track Heroes who have given everyone an opportunity to rekindle their love for racing dirt track style. The Phillipsburg Mall is located on Route 22 East in Phillipsburg, New Jersey. Mall hours are 10 AM to 9 PM Monday through Saturday and on Sunday from 11 AM to 6 PM. An event t-shirt and program book is available for this event and they are being sold at the center court stage area. NJ State Inspector Bob Smith will be present to answer questions and provide safety tips to the competitors. The schedule is subject to change, and some additions are expected. CHAMBERLAIN & FITZCHARLES TO ATTEND SATURDAY. . . . The 2nd Annual IRCO Dirt Track Heroes Car Show hit mid-stride on Wednesday night and never skipped a beat as the stars and management of the New Egypt Speedway and the past heroes from the East Windsor Speedway paid a visit to this wildly successful Mall show that is free to the public. Twenty-eight drivers turned out for interviews along with New Egypt Speedway Promoter Bill Miscoski who informed the large crowd of the numerous changes and improvements set for the fast approaching 2009 racing season. New Egypt Speedway is now boasting of a 110 feet wide straight-aways and turns, and drivers are expected to be slicing and dicing on the new configuration. All of the drivers interviewed were anxious for the new season to begin. Other big news of the night is that Gerald Chamberlain and Glenn Fitzcharles will both be attending the IRCO Dirt Track Heroes event on Saturday. Event organizer Bob Miller spoke directly with Chamberlain and Fitzcharles to confirm their planned attendance. New Egypt drivers interviewed included Syracuse 200 winner Frank Cozze, his son Frank Cozze Jr who will be a rookie in the Modified ranks this year, Mike Hendershot, Jon Haegele, Billie Pauch Jr, Sammy Martz, Gary Butler, Willie Osmun, Mike Krachun, Art Leidl, Rick Laubach, Brian Roemer, Vern McLaughlin and Doug Ostwald. Drivers from the East Windsor Speedway ranks included the legendary Ken Brenn Jr, Tommy Vroom, Ray Liss, Ed O'Neal, and speedway Historian Harold Rulon who told some great racing stories from the days when East Windsor was racing and highlighted by the famous story that had Pee Wee Griffin leaving the raceway for home driving his race car. David Polenz, the New Jersey State Legends Division Champion from a year ago, was able to make his first appearance of the week as he was fighting the flu bug. Polenz, who is the Nephew of the late New Jersey Modified star Rich Polenz, talked about his jump into the headline Late Model division this coming season at the Old Dominion Speedway located in Virginia. New Jersey State Advisory Board members Rick McGaughey and Bob Smith were on hand and walked the Mall area answering many questions and providing safety tips to the drivers and owners on hand. Show organizers Bob and Donna Miller continue to be impressed with the strong support the racing community has shown this second year show as has IRCO Community Federal Credit Union Vice President Greg Collins, who once again welcomed the drivers and fans at the beginning of the show and thanked them as the show closed for the day. Thursday evening will feature a night shared with the stars of the Thunder on the Hill, URC, Grandview Speedway and members from the Area Auto Racing News staff. With 97 race cars from all divisions lining the Phillipsburg Mall, the 2nd Annual IRCO Dirt Track Heroes Car Show continues until Sunday, March 15th, when the show will close with a salute to the Nazareth Speedway and all of the Dirt Track Heroes who have given everyone an opportunity to rekindle their love for racing dirt track style. The IRCO Community Federal Credit Union is again the proud sponsor of this event. For more information on what they have to offer, please visit their website at www.ircocu.com or contact Greg Collins directly at gcollins@ircocu.com . Phillipsburg Mall presents exciting race car show. . . .
Another large crowd turned out on Monday night as the Second Annual IRCO Dirt Track Heroes & Car Show entered its third show day. Bob and Donna Miller, show organizers are thrilled with the turnout of cars, celebrity guests and spectators just three days into the nine day show. On hand Monday night were the driving stars that rim ride the lightning quick Hamlin Speedway 1/5 mile clay oval every Saturday night beginning in April. With Hamlin Promoter Randy mith capping off a night that featured more than 25 driver interviews, the night was especially rewarding for some of the young driving stars who were giving their first ever interview in front of a crowd. Drivers from all divisions at the speedway were well represented and each one was brought to the podium amidst a rousing introduction by track announcer and event show host Steve Pados. Promoter Smith thanked the large crowd on hand for their support of the Speedway he promotes with his wife Denise and talked in great length about the introduction of the 600 Micros being added to the Saturday night card this year and going wingless. Smith informed the crowd he is looking forward to the best year in the track's history with the 2009 season set to begin next month. Official track photographer Jim Young was on hand to capture the evening show from his camera lens. Drivers interviewed included National Slingshot Champion Ben Whitaker and track champions Jacob Hendershot, Nunzi Allegrucci, Chris Kurtz Jr, and Henry Anderson. Shannon Smith was on hand to talk about her new ride with Jim and Judy Widdos in the 270 Micros and her bid to challenge for the National Slingshot title in 2009. Hot Shoes Kyle Rohner, Kyle Rode, Adam Brown, Mark Gilmore, Brian Gilmore, Paulie Tigue, Eric Bodine, Chirs Kurtz Sr, Angela Caruso and others joined in for the celebration of the Hamlin campaigners. With 97 race cars from all divisions lining the Phillipsburg Mall, the 2nd Annual IRCO Dirt Track Heroes Car Show continues on Tuesday evening with a salute to Borgers Speedway, Kutztown, Oreville, Snydersville, West End, and Blue Mountain Speedways. Activities begin at 6:30 PM. The Phillipsburg Mall is located on Route 22 East in Phillipsburg, New Jersey. Mall hours are 10 AM to 9 PM Monday through Saturday and on Sunday from 11 AM to 6 PM. New Egypt Speedway Night with Salute to East Windsor Speedway! to all Tracks Highlighting the Nazareth Speedway and Fan Appreciation Day with Camera and Autograph Session. 03.02.09 The NAPA Auto Parts Reading Racing Reunion & Car Show presented by Lee Myles Transmissions ended a successful week long show on Saturday night. One-hundred and fourteen race cars of various divisions squeezed inside the walls of the Fairgrounds Square Mall (Reading, PA) to remember the racing past, present and future. The crowds all week were solid and again, the Friday night portion of the show was the blockbuster. The Mall was jammed with race fans taking their first look at the many new race cars of 2009 and at the same time, collecting autographs from the many Legends of Racing, including stars like Gerald Chamberlain, JimmyKeppley, Freddy Adam, Earl Derr, Russ Smith, Russ Delp and Bobby Braxton just to name a few. Without a doubt, the excitement and energy of this show supports that there is still a lot of interest in local short track racing. The impressive turnout is also a good indication that the weekly race tracks should expect strong fan turnout. racing. Some of our fondest memories include our time with Tommy Hinnershitz, Al Tasnady, Larry Dickson, Gary Bettenhausen and Mario Andretti. We feel good about our efforts of preserving the memories of Reading and that is something we will continue to do with increased involvement through the Reading Racing Historical Society. It's just time to bring some new and fresh ideas to the show, and that is something Brett Deyo can certainly deliver. I will be in the background to help him in any way I can." With support from Troy Wink Racing and approval by the Fairgrounds Square Mall Management, the Miller's will be placing a plaque in the floor of the Mall, showing the exact location of victory lane. The plan is to have the plaque in place for next year's twenty-fifth anniversary event. The 2009 edition of the Reading Racing Reunion was one of the most ambitious shows in history, with plenty of activities taking place daily. A big hit during the week was the Randy's Raceway HO race track, the display by the Reading Racing Historical Society and the SmashMasters Demo Derby Exhibit. Several drivers took part in Celebrity Bartending and driver interviews were presented nightly. On Saturday, approximately fifty people took part in the "Find the Landmarks" walking tour of the Fairgrounds. With help from the Fairgrounds Square Mall and access to the blueprints, the group was able to locate the Reading Victory Lane, Flag Stand, Announcers Booth, turns and backstretch as well as the location of the Dallas French Fry Stand in the infield. The tour lasted about one hour and covered the grounds both inside and outside the Mall. A website is being created for the show and should be available shortly. GREAT INTEREST SHOWN AS WALL TOWNSHIP SPEEDWAY OPENS OFFICE FOR 2009 SEASON WALL TOWNSHIP, N.J.
03.02.09 - Wall Township Speedway promoter Jim Morton says that he was very pleased with the interest shown for the 2009 stock car racing season when he opened the track office for the first time this year on Saturday (February 28). The office, which is located on the speedway grounds at 1803 Route 34 in Wall Township, N.J., will be open Tuesday through Saturday from 10:00 a.m. until 4:00 p.m. Competitors and fans who visit the office will be able to obtain competitor licenses and pit area parking spots as well as more information on the 2009 season as it becomes available. After sitting idle through 2008, with the exception of the overwhelmingly successful “Turkey Derby” race in late-November, Wall Township Speedway is coming alive again in 2009. The busy schedule will feature professional auto racing and several types of “special events” that should offer everyone who lives in or visits New Jersey something of interest. For the auto racers and their fans tentative plans call for early season paid practice sessions before races are presented on selected weekends in April and May. Several racing events will then be presented on selected Saturday nights during the summer months before the annual Turkey Derby caps off the season in November. Morton also mentioned that news will be coming out soon about the return of the “Sunday Series” on the “inner oval” featuring go-karts and other small car divisions. In addition to the auto racing events, Morton is currently working with various promoters in an effort to bring other “family friendly” shows and events to the Wall Township stadium this season. Details will be announced soon. Wall Township Speedway is located on Route 34 in Wall Township, N.J., just one mile north of Garden State Parkway exit 98 and Interstate 195 exit 35B. The speedway hotline is 732-681-6400 and more information is also available at www.wallspeedway.com . Born Oct. 8, 1955, in Bristol, N.J., son of the late Earl William and Virginia Marie Lewis Schloder, he was the owner/operator of Lake Winola Transport LLC Trucking Co. A graduate of Bensbury High School, he had an associate degree from Bucks County Community College. He also continued his education in auto mechanics and state-inspection licensing. A few of his many hobbies included stock-car racing, NASCAR and his Harley-Davidson. He loved his devoted dog, Blue. A loving and devoted husband, he was also a loving father, brother and friend. He touched the lives of everyone he knew. He will be sadly and deeply missed by all who knew him. Also surviving are a son. Master Sgt. James Mackie, USAF, and wife, Navy Lt. Jean Mackie (Ret. ), Jacksonville, N.C.; a stepson, Richard Yarasavich Jr., Lake Ariel; a stepdaughter, Justine Bakshi and husband, Moneesh, Chestnut Ridge, N.Y.; a brother, Earl and wife, Paula, Lake Winola; and a sister, Virginia Schloder, Philadelphia. A funeral service will be Saturday at 10 a.m. from the Lawrence E. Young Funeral Home, 418 S. State St., Clarks Summit, with services by the pastor of First Christian Church of Scranton. Interment, private. 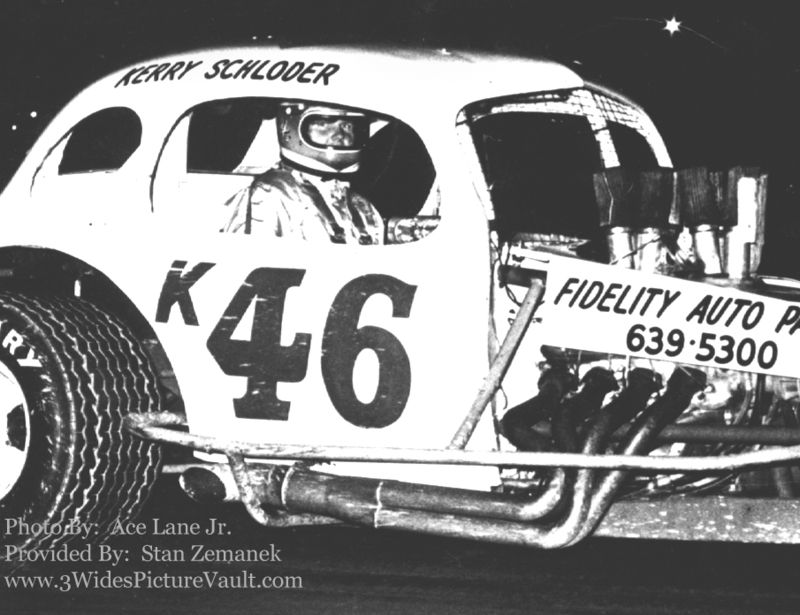 Our condolences to the family of Kerry Schloder. The Wall Township Speedway office, which is located on the speedway grounds at 1803 Route 34 in Wall Township, N.J., will open for the 2009 season on Saturday, February 28, at 10:00 a.m. From that date until further notice the office will be open Tuesday through Saturday from 10:00 a.m. until 4:00 p.m. The speedway hotline, 732-681-6400, will be operational as soon as the speedway office reopens. Competitors and fans who visit the office will be able to obtain competitor licenses and pit area parking spots as well as more information on the 2009 season as it becomes available. After sitting idle through 2008, with the exception of the overwhelmingly successful “Turkey Derby” race in late-November, Wall Township Speedway will come alive again in 2009. The busy schedule will feature professional auto racing and several types of “special events” that should offer everyone who lives in or visits New Jersey something of interest. For the auto racers and their fans tentative plans call for early season paid practice sessions before races are presented on selected weekends in April and May. Several racing events will then be presented on selected Saturday nights during the summer months before the annual Turkey Derby caps off the season. Morton also mentioned that news will be coming out soon about the return of the “Sunday Series” on the “inner oval” featuring go-karts and other small car divisions. 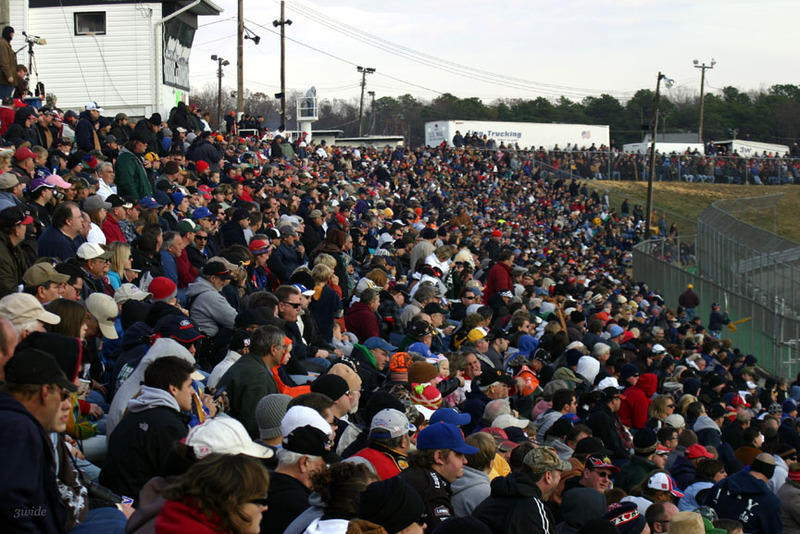 In addition to the auto racing events, Morton is currently working with various promoters in an effort to bring other “family friendly” shows and events to the Wall Township stadium this season. Details will be announced soon. WALL TOWNSHIP, NJ (February 08, 2009) After sitting idle through 2008, with the exception of the overwhelming successful “Turkey Derby” race in late-November, Wall Township Speedway will come alive again in 2009. The busy schedule will feature professional auto racing and several types of “special events” that should offer everyone who lives in or visits New Jersey something of interest. Promoter Jim Morton, who led the resurrection of the famous third mile paved oval late last year, is busy planning events and preparing the varied schedule now. Although he is still working on his 2009 plans, Morton did mention that he intends to open the track office in late February or early March. For the auto racers and their fans, tentative plans call for early season paid practice sessions before races are presented on selected weekends in April and May. Several racing events will then be presented on selected Saturday nights during the summer months before the annual Turkey Derby caps off the season. Morton also mentioned that news will be coming out soon about the return of the “Sunday Series” on the “inner oval” featuring go-karts and other small car divisions. Wall Township Speedway is located on Route 34 in Wall Township, N.J., just one mile north of Garden State Parkway exit 98 and Interstate 195 exit 35B. More information is available at www.wallspeedway.com . The speedway hotline, 732-681-6400, will be operational as soon as the speedway office reopens for the season. Many of you know Mike Clayton from his hard work at Wall and from his efforts working closely with the team that made Turkey Derby 2008 a reality. Some of you may also recognize the posts from "Mike C" on this board that always reflected his passion for short track racing, and his tireless effort to ensure that Wall had a future. Just a few days ago he posted the 2009 Wall Schedule and you could sense the excitement in his post. Because of the work of many including Mike himself, there will be racing again at Wall again in 2009. And that was very important to him. We are all saddened by the news of his sudden passing. Our condolences to the many friends and to the Family of Mike Clayton.